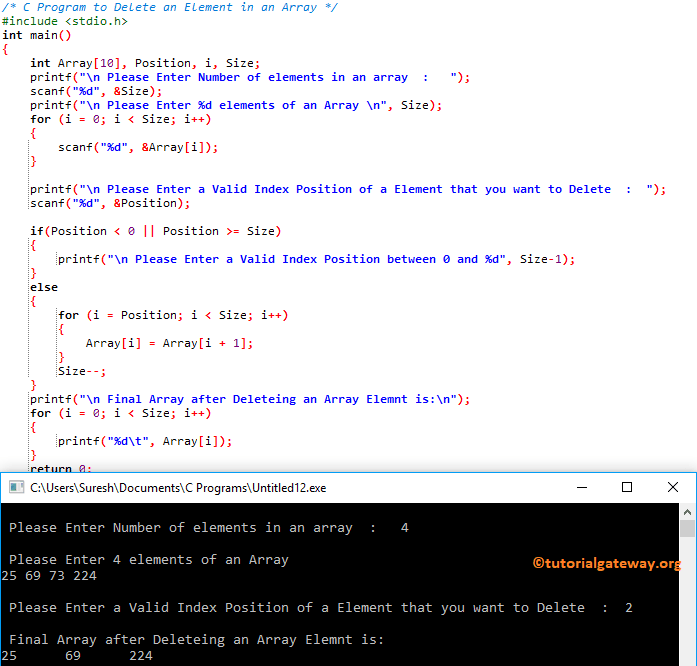 In this article, we will show you, How to write a C Program to Delete an Element in an Array with example. This program asks the User to enter Index position. a means Index position starts at 0 and ends at 9. First we used If Statement to check whether user specified index position is less than 0 or greater than or equal to array size. If it is True, then it wil print an error message otherwise, it will enter into Else Block. Within the Else block we used For Loop. This will make sure that the position values is between Position and maximum size value.